Fiji looks forward to renewing defence cooperation between Fiji and New Zealand. 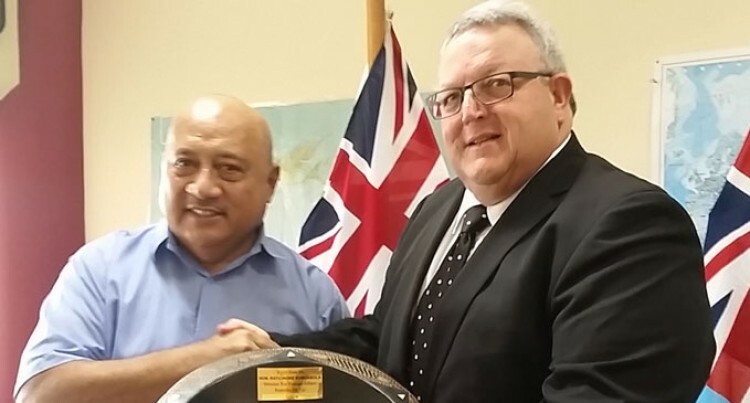 The Minister for Foreign Affairs, Ratu Inoke Kubuabola confirmed this to the Fiji Sun after his meeting with the NZ Minister for Defence, Gerry Brownlee yesterday. He said with the many security challenges that both countries faced, there was an increasing need for enhanced engagement on defence and security. Ratu Inoke said the resumption of military co-operation would signal the removal of the last remnant of the sanctions imposed on Fiji. On areas of co-operation they discussed, he said, were surveillance flights for our EEZ (Economic Exclusive Zone). They emphasised that both Fiji and NZ are coastal States with large maritime boundaries; hence, the need for constant surveillance of their maritime boundaries especially after the rise in the illegal fishing. On peacekeeping and peace building, they acknowledge their shared commitment to regional and world security – i.e. peacekeeping participation. “Peacekeeping and peace building is part of Fiji’s foreign policy. To this effect, the Ministry of Foreign Affairs and Ministry of Defence form part of the parliamentary standing committee,” Ratu Inoke said. He expressed Fiji’s appreciation of the close relationship it (especially the Fiji Military Forces) had with New Zealand. This close relationship, he said, spanned back to World War I and World War II. The Royal New Zealand Air Force operated a base at Suva Point and withdrew in 1964. Ratu Inoke saluted the 31 brave sons of New Zealand who were interred here at the Fiji National War Memorial in Suva. After the meeting Mr Brownlee visited the Commander of the Republic of Fiji Military Forces, Brigadier- General Mosese Tikoitoga.